Due to the rural nature of the Delmarva Peninsula, there are only a handful of places to stay within the watershed itself. However, in the surrounding areas, there are a plethora of hotels, campgrounds, and rental homes available, located only a short drive from the attractions you may wish to see or the access sites you may wish to use for your river explorations. Click on the drop-down menus below to view some of the area’s options. Best Western Denton Inn – This charming Denton hotel offers abundant amenities and is close to many area businesses, stunning beaches, exciting casinos and wonderful restaurants. Featuring a complimentary breakfast, an outdoor pool, high speed internet, and many more amenities. Holiday Park – Located on 200 acres bordered by the Choptank River headwaters. Offering RV & tent camping, CATV, group facilities and plenty to entertain children of all ages: with large pool, several playgrounds, game room, tennis and basketball courts. Shuffleboard, volleyball, open sports field, river fishing, hayrides and lots of trails for biking or hiking. Activities are planned on the weekends. Idylwild Farm Bed and Breakfast – Idylwild Farm invites horse riders seeking a rural getaway as well as vacationers eager for a farm country experience. This modern home with a rustic decor offers either a first or second story room for two with panoramic views of pasture, woods and cultivated fields that change with the growing season. Schrader’s Bridgetown Manor – This beautiful manor home is situated on rural farmland in Caroline County. It has eleven spacious bedrooms, all with private baths. A full selection of outdoor activities are offered including hunting for waterfowl, turkey, deer, doves and upland birds, along with pond fishing. The 24 station sporting clays course is open 7 days a week and has certified instruction along with rental guns. The scenic country roads are ideal for the cyclist. The Manor is perfect for weddings, private parties and business meetings with catering onsite. For more information on places to stay in Caroline County, please visit the Tour Caroline County website. Best Value Inn – Located in Cambridge, Maryland on Route 50, Best Value Inn is convenient to attractions, restaurants, and shopping. We offer reasonable rates and are pet-friendly. – This century-old home combines historic charm with modern updates in a perfect location centered in Cambridge’s Historic District on Maryland’s Eastern Shore. Great for vacation or to attend special events in the area. Cambridge House Bed & Breakfast – Cambridge House Bed & Breakfast offers luxurious guest rooms where guests can enjoy a restful night’s sleep. A delicious breakfast overlooking the garden and lily ponds provides a great way to begin the day. Cambridge Vacation Rentals – Waterfront retreat homes catering to small family get-aways, large family reunions, multi-family get-togethers, corporate retreats and more. Pet-friendly. We offer four unique rental homes year-round, which can accommodate 9-26 people. Cambridge Yacht Club – Experience the nautical traditions of the Eastern Shore in an unsurpassed waterfront setting at the Cambridge Yacht Club. The Cambridge Yacht Club features affordable deepwater and transient slips, fine dining, and rents space out for special events. Chesapeake Country House – Enjoy this unique opportunity to stay in a charming, historic home in the Neck District, one of Maryland’s most beautiful, unspoiled areas. This home is ideal for cycling enthusiasts, kayaker and canoers, hunting parties, and folks seeking an affordable vacation rental. Featuring a water view, this house sleeps up to six comfortably. Comfort Inn and Suites – Located on Route 50 in Cambridge, we offer free continental breakfast, wi-fi, local calls, indoor pool, on-site meeting room, and more. We are a pet-friendly establishment. – We offer many amenities including a heated swimming pool, spacious business/jacuzzi rooms, guest coin-operated laundry and free access to the fitness room. All rooms include a microwave and fridge, FREE high speed wireless Internet, and continental breakfast. – Completely renovated 1850’s farm house that borders Maryland’s Fishing Bay Wildlife Management area. The house is well suited for nature enthusiasts, bird-watchers, kayakers, canoeists and cyclist. 4-Bedrooms, 2 full baths. Sleeps 10. Hyatt Regency Chesapeake Bay Resort – The Hyatt Regency Chesapeake Bay stretches across two miles of waterfront property with breathtaking views of the Choptank River, inspiring guests to rejuvenate in the unique seclusion and incredible beauty of our 400 acres. Dog-friendly. – The Island House B & B is the perfect location for boating, kayaking, fishing, crabbing, hunting, bicycling or just relaxing while taking in fantastic sunsets on the large screened porch. – Enjoy spacious campsites, showers, laundry area, Madison Bay R&R restaurant, and a game room. Call for more information. The marina features overnight slips, electric, showers, laundry, ice, and repairs, plus access to the game room and restaurant. Marvels on the Creek Bed & Breakfast – Enjoy country living on Cabin Creek in East New Market. Relax on the spacious deck or enjoy the outside spa in our pet-friendly establishment. – Located on the Honga River at Lower Hooper Island, Rippons Harbor features overnight slips, fuel, electric, ice, and a pumpout station. Transportation is available. Crab meat and steamed crabs are also available on site in season. – This family-oriented campground is located on the Chesapeake Bay. The Cottage at Heron Point – “The Cottage” at Heron Cove is a cozy retreat situated on a scenic peninsula with water views from every window. Relax on the large wrap-around screened in porch or soak in the 450 gallon hot tub. With ten acres of property, the cottage offers seclusion, peace, and serenity. The Tavern House Bed & Breakfast – Here is a place “off the beaten track” for those who can savor looking out over the river and marshes, watching an osprey in flight, or taking a leisurely walk. Victoria Gardens Inn Bed & Breakfast – Built in 1890, Victoria Gardens is a tastefully restored landmark Victorian Heritage House in the historic district of Cambridge, Maryland. Pet-friendly, but must call ahead. For more information on places to stay in Dorchester County, please visit the Tour Dorchester County website. America’s Best Value Inn – Americas Best Value Inn’s location, facilities and value pricing makes this property a perfect choice for leisure, corporate, family reunions, groups, meetings and special events. This property features continental breakfast and an outdoor pool. Best Western Salisbury Plaza – The Best Western Salisbury Plaza offers a down home atmosphere in a clean comfortable setting. Our staff treat you like family and are awaiting your request and needs during your stay. For a stress free stay during your visit to Salisbury Maryland come to the Best. Continental breakfast is provided. Comfort Inn – The Comfort Inn in Salisbury, MD is located near shopping districts and many restaurants are within walking distance. Complimentary hot breakfast is provided. Jacuzzi rooms are available. Country Inn & Suites by Carlson – We are convenient to a wealth of area attractions and entertainment, including Salisbury University, Wicomico Youth and Civic Center, Henry S. Parker Athletic Complex and Ocean City, MD (25 miles). Amenities include complimentary hot breakfast, guest laundry, airport shuttle, indoor pool and microwave & fridge in every room. Courtyard by Marriott – Our Salisbury Maryland hotel is located 5 miles north of the Salisbury/Wicomico Regional Airport. This Salisbury area hotel is convenient to the Delmarva Shorebirds Stadium, Salisbury University and the Henry S. Parker Sports Complex. Days Inn of Salisbury – Enjoy your Delmarva Peninsula stay at our Days Inn Salisbury hotel, near Centre at Salisbury and Salisbury State University. Sandwiched between Atlantic Ocean beaches and the Chesapeake Bay, our Salisbury, MD, hotel offers comfortable accommodations at an affordable rate. Hampton Inn of Fruitland – On Maryland’s Eastern Shore, just minutes from both the Atlantic Ocean and the banks of the Chesapeake Bay, nestled in the heart of a charming city that embodies small-town America. The Hampton Inn & Suites Fruitland is where classic meets modern with all of your lodging needs in one beautifully appointed hotel. Our amenities include a full hot breakfast and Airport Shuttle. Hampton Inn of Salisbury – Located on the North end of town in the heart of great shopping – from the Centre at Salisbury Mall to your favorite major chain stores, restaurants & Starbucks. Situated close to many popular sites and attractions, discover the many fun & exciting venues offered in the Salisbury area and beyond. Our amenities include a whirlpool, billiards room and hot complimentary breakfast. Holiday Inn – The Holiday Inn Downtown Salisbury provides you with an ideal location and amenities tailored to your needs. Located on the Riverfront in beautiful downtown Salisbury, MD, our hotel puts you in the center of all this great city has to offer. This full service hotel features room service, a restaurant and bar, and an airport shuttle. Holiday Inn Express Hotel and Suites – Why travel further than you need to for a Maryland vacation? Ocean City, MD is only 35 miles from this Salisbury hotel. Enjoy the boardwalk or take a trip to the Salisbury Zoo, attend a baseball game at the Shorebirds Stadium, catch a show at the Wicomico Civic Center or a race at the US 13 Dragway. Complimentary hot breakfast is provided. Microtel Inn and Suites – Choose our Microtel Inns & Suites Salisbury hotel and take advantage of our prime location off Route 50. Check in anytime with our 24-hour multilingual front desk staff, then park in our free parking lot, capable of accommodating large vehicles. Continental breakfast is included, as well as an airport shuttle. Residence Inn by Marriott – The Residence Inn Salisbury specializes in long term stays. The Residence Inn is an all suite hotel designed for travelers who will be away from home for an extended period of time. Full hot breakfast buffet and weekday Manager’s Socials are complimentary. Every suite has a fully equipped kitchen, living room, and sleeping area. Sleep Inn – The Newly Renovated Sleep Inn® hotel is ideally located right off U.S. Route 50, offering easy access to Ocean City, Washington, D.C., Baltimore and Annapolis. This Salisbury, MD hotel is just one mile from the Arthur W. Perdue Stadium and Winterplace Park. The Ward Museum of Wildfowl Art, the Salisbury Zoo, Peninsula Regional Medical Center, Salisbury University and Wor-Wic Community College are also nearby. We are also just minutes away from The Salisbury-Ocean City-Wicomico Regional Airport. Whitehaven Hotel Bed and Breakfast – This 19th century historic hotel/bed & breakfast has seven guest rooms. All Hotel rooms have private baths, two have access to the second floor screened porch and two have working fireplaces. Two kayaks are available at no additional cost for guests. Room with a View, a gift shop offering one-of-a kind, hand made Eastern Shore crafts, is open on the first floor of the Hotel (Shop is open Wednesday through Sunday). Boaters: hotel guests may dock at the Hotel’s dock. Trap Pond State Park Campground – Open from March 1 to November 30, the Trap Pond State Park Campground offers 142 RV and tent sites (130 sites include water and electric hookups), along with cabins and yurts. Days Inn & Suites – Rise and shine for value at Days Inn & Suites Seaford hotel. Ideally located in the heart of beautiful Seaford, our Seaford, DE, hotel near Delaware International Raceway puts you just 35 minutes away from the best Delaware beaches, shopping, restaurants and entertainment. Quality Inn – The Quality Inn® hotel is conveniently located in the heart of town, with a beautiful country setting and panoramic views of the Nanticoke River. 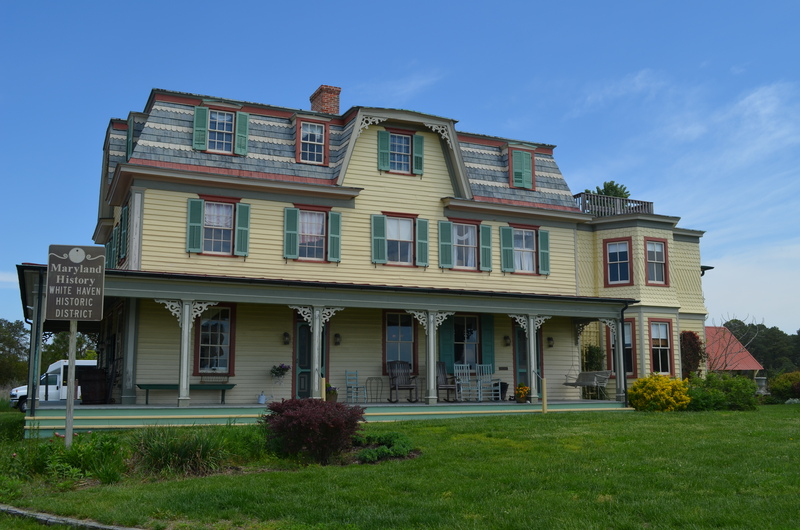 This Seaford, DE hotel is also just minutes from the Seaford Museum, the Governor Ross Mansion and Plantation and Harrington Raceway harness racing facility. Comfort Suites – Our pet-friendly, non-smoking hotel is ideally located off of Route 13, in close proximity to the following points of interest: Delaware State Fairgrounds, Wicomico Youth and Civic Center, Nanticoke River and Killens Pond State Park. Hampton Inn – Explore Seaford’s quaint historic downtown. Stroll along the Nanticoke Riverfront where the Nanticoke Festival is held each July. Visit the Seaford Museum or take a ride on the historic Woodland Ferry. Holiday Inn Express – The hotel’s convenient location along the banks of Williams Pond provides a peaceful setting to relax. Guests don’t have to travel far to enjoy the outdoors because this Seaford, DE hotel’s property features a fishing pond. Archaeological sites tell a story of continuous, intensive human habitation of the Nanticoke River watershed going back as much as two thousand years.